Summer is the perfect time to indulge in a new book. I've been obsessively tracking some new releases, watching their pre-sales and following the reviews. Here are my top picks for this summer. This book came out in March, and I quickly snatched it up after hearing an author interview on NPR's Fresh Air with Terri Gross. Oprah reinvented her book club after reading this memoir, and for good reason. Even without the hype, I would still sing the praises of this book. Strayed, a 40-something wife and mother and the true face behind Dear Sugar (a formerly-annonymous advice column for therumpus.net) is an incredible writer. 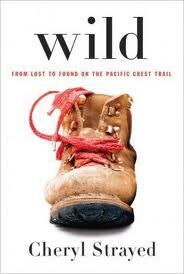 Even if you've never lifted a backpack, her story of hiking the Pacific Crest Trail in the early 1990s is a magnificent feast for the soul. I've told everyone I know to read this book, so now I will share that advice with you: READ THIS BOOK. It's a beautiful and eloquent exercise in truth-telling, self-discovery, and grief. Only released three days ago, the pre-publication hype and rumors of a seven-figure advance for this former Simon and Schuster editor are worth the buzz. Narrated by eleven-year-old Julia, this novel answers the question--in slow motion-- of what would happen if we truly did have more hours in the day. As the earth's rotation slows, the days and nights grow longer, the environment is thrown into chaos, and the gravitational pull of our world goes haywire. All the while Julia must deal with the everyday crisis of family and friends as the world slowly comes to an end. 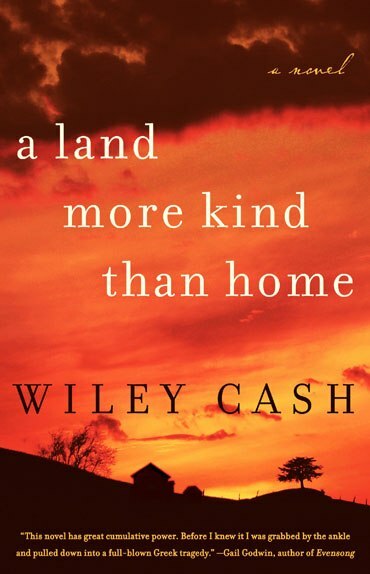 This debut by North Carolina author Wiley Cash hits the jackpot. An intricate tale narrated by a child, a midwife and the county sheriff, this story explores what happens when a boy sees something he shouldn't see and the consequences that ensue. Set in a fictional western North Carolina town, young Jess Hall must navigate a world he doesn't quite understand-- one of a serpent-handling preacher with a dubious past, a mother he doesn't understand, and an older brother who is mute. I read this from start to finish on a plane in May and was sad to see the end. Dark at times, cringe-worthy at others, this debut is powerful. I'll be watching this author for his next novel, because this one was gripping. How have I never read Gillian Flynn before? 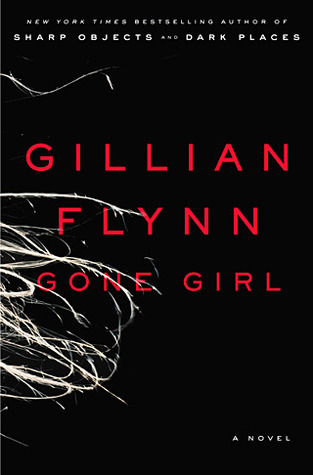 GONE GIRL, her third novel, is a suspensful thriller that details the demise of a marriage, a wife gone missing, and alternating points of view that keep the reader engaged and the pace fast. Set in a riverside Missouri town, Nick and Amy are planning for their fifth anniversary when she disappears. Plot twists and the unexpected keep this novel moving at a can't-put-down pace. Flynn also wrote Sharp Objects: A Novel, and Dark Places: A Novel, two books that I will definitely be picking up at my local bookstore as soon as I can. So a few years ago a friend and I paid the premium price to go listen to Amy Tan speak at the Dallas Public Library. The extra bucks we forked over for our tickets paid for a pre-talk reception with Tan, with a little booze, a little food, and about 100 other souls clamoring around hoping for Joy or Luck or whatever it was they came for. Maybe the wine, who knows? Amy Tan is a terrific speaker, by the way, and if you ever get a chance to hear her, I exhort you to take it. Much of her talk came from one of her books, one that I'd read not too long before that night, and I didn't care a bit. One of the things she discussed was trying to convince her husband that she should be allowed to write her recent Chinese dinner expenses off her taxes, because it was research as the characters in her work-in-progress were dining in such a place. No dice, he said, which was surely a good idea. The guy is a tax attorney, after all. But still. I'm not planning any tax evasion, just to keep the record clear, but it is true that our experiences often leech into our novels. At least in my case, and I can't imagine that they wouldn't for nearly everyone. 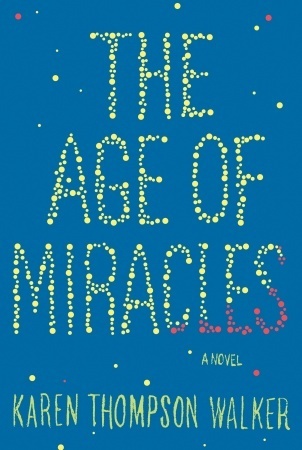 Even those of us writing nothing to do with our present day lives--Kim's novel ends decades before she is even a glimmer of existence, for instance--still have our works colored by our experiences. Sometimes, we seek out those occurrences--again, Kim visiting Ontario is no accident, and the sights and sounds and smells she absorbed flavor her work, and purposely so. 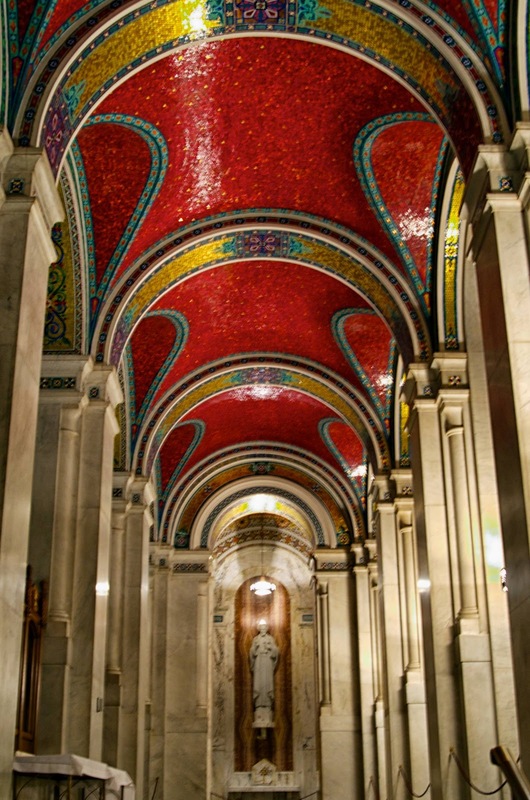 Sometimes something we encounter informs our work--Joan has mentioned strolling a London street, gaping with wonder at a beguiling church, and years later, she is writing about architects and thieves. Both Julie and Susan delved into family history and geography for the kernels of their novels, and we've discussed how the land and the people--I'd argue experiences--have enriched and informed their books. Pamela and I are probably most similar in that what we write is most conducive to the Amy-Tan-write-a-good-meal-off-your-taxes school of fiction. Our stories so far mostly take place in the world we inhabit today, and our characters might be as likely to meet a friend at Taco Cabana as we are. (I love Taco Cabana and force Pamela to go there with me when we two get together to talk books. It's exactly halfway! Along with about 50 other restaurants, ahem.) So far, though, my guacamole has come out of my pocket and not the Treasury's. And it will stay that way. I have a character in my WIP who resents another character for reasons that she later comes to realize are sort of ridiculous. One of the ways she will come to see her folly is by re-framing actions the first character has undertaken, seeing them in the light of positive rather than critical. And one way she does this (I swear it makes sense in the story) is by spending a full day on personal luxury--massage, mani-pedi, facial, lunch at a tony place where three hundred dollar shoes are de rigueur. So I'm thinking, that's what I need to do. Suffuse myself in luxury, all day long, literally from head to toe. See what it feels like to be pampered without cessation, and then translate that for my character, onto her skin, into my manuscript. And pay for it, of course, all the way. I promise, Uncle Sam. I promise, Lou. Ask most people what they imagine an author looks like, and they’ll probably describe a solitary figure hunched over a computer keyboard. There’s some truth to that, of course, but the business end of publishing now requires writers to be more extroverted than many of us are comfortable with. To be successful we’re expected to network, write guest blog posts or blurbs, give interviews, Skype into book clubs, and even do some public speaking. If local writers’ groups are hard to come by in your area, there are many places on the internet for authors to mingle. Not all of us shell out the subscription fees for paid forums, and it's not absolutely necessary. I’ve found most of my writer friends on Facebook. I joined several groups on there to begin with, but most boards struck me as a long line of commercials. Read my blog! Buy my book! Follow me! Buy my book! Like me! Buy my book! Actual conversation rarely happened. The purpose of the WU Facebook group is to give writers a place to come together and discuss the craft and business of fiction without the pressure of building platform. I was one of the first members and in October of last year Therese Walsh invited me to join the moderator team. If you haven’t already done so, I invite you to come on over and check out the WU Facebook group here. Once an administrator has let you into the group, take a look in the menu marked ‘files.’ In there you can read the rules of the group and add your FB profile, twitter handle, blog, or website to the appropriate places. If you want a critique partner, we have a file for that, too. Any questions? Ask me or any other members of the Mod Squad – Vaughn Roycroft, Heather Reid, or Valerie Chandler - and we’ll help you out. It's been a while since I've done a "What's happening with the book?" post, so here goes! Things are moving along nicely. I completed my regular edits in January, my copy edits in April, and today, I'll receive what are called "first pass pages," which are printouts of the typeset manuscript that I'll read for missed typos and last-minute fixes. Soon, I imagine they'll be printing up the galleys (copies for advance reviews and publicity purposes). They can't do that until I have a cover, and that's still in the works. I can't wait to see it. My official publication date in the U.S. is February 19, 2013. Feels like forever, but when I consider it's been nine months since I sold the book to St. Martin's Press, and only eight months until publication, it seems like no time at all. I suspect the next eight months will fly by faster than I can imagine at this point. August 19 … THIS AUGUST!!! 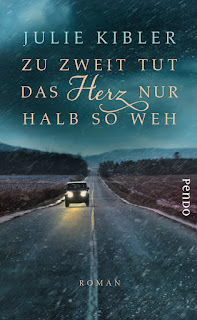 ... the book will be published in Germany as Zu zweit tut das Herz nur halb so weh, which translates loosely as "With two together, the heart hurts half as much." The book is available at all the German online booksellers for pre-order (Here's the Amazon Germany link, for instance! 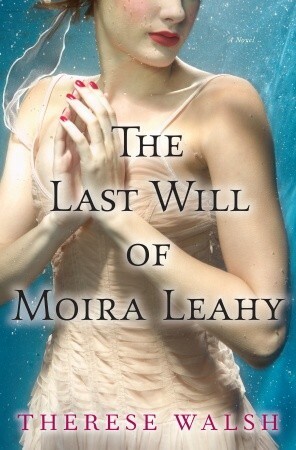 ), as is the audiobook, which is being read by two German actresses, including one who was in the movie Run Lola Run! This is pretty cool--the art on the cover of the summer catalog for Pendo is the art from my cover, and I am apparently the author of the month on their website (or season, maybe!?). Much of this I figure out using an automated online translater. I met a woman from Germany who is visiting her daughter here in Texas for the summer (her daughter is the mother of some kids my kids know from school), and she was very excited to learn about the book and plans to watch for it when she returns home. The daughter lives here now, but German is her first language. I'm hoping to share one of the extra copies I'll get of the German edition so she'll be able to read it in German. I even received my first fan mail from a bookseller in Germany who had read the advance review copy. It is kind of a bizarre experience to debut a book from afar like this, but I am certainly not complaining. 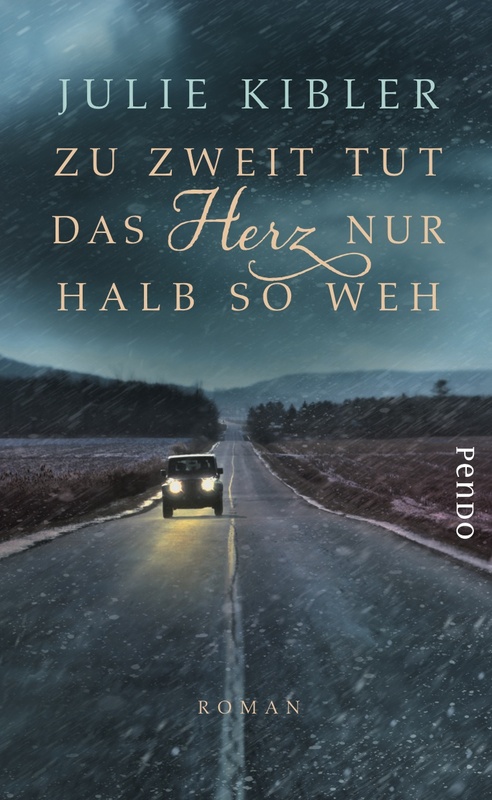 Pendo is doing an amazing job and has put all their confidence in the book, which is very exciting. I can't wait to see how it does there. In the background, I am busy working on odds and ends--things like sending notes to authors asking if they are willing to read the manuscript and consider giving a blurb. It's awkward, but I guess it must be done! I have received several really lovely blurbs and they never fail to make me smile and get a little choked up when I read them! I'll share some of those soon. I'm also, as I've mentioned in previous blogs, attempting to get the next book going, which is a strangely different process once you are under contract for your first book. I've read lots of blog posts in the past about the differences, so I'm not completely unprepared, but it's still challenging. In the past, I finished one manuscript and moved onto the next, only thinking about the previous one in terms of querying agents and making revisions. Now I find my mind must adjust to thinking about two stories a LOT during the same periods of time and it isn't especially easy. I'd like to knock out a first draft over the next several months, as recommended by those with the experience, but I'm not sure it will happen. So, I think that about covers it for now. I feel like I'm forgetting something important, but that's everything that comes to mind! What about you guys? Anyone have anything exciting to share? Book news? Life news? How's your summer going? In 1992 my firstborn was christened Jacob, named after my Dutch great-grandfather, Jacob Hamming. (Although he pronounced it Ya-cub while living in Holland.) My boy was never Jake. Just Jacob and I've always loved his name and who he's named for. Years later, the name Jacob began to appear on the Top Baby Names for Boys' list put out by the U.S. Social Security Department. In fact it's held on to the number one position every year since 1999 after working its way into the top five from 1995 to 1998. So, I'd like to think my Jacob's name is special in that it was chosen before it became popular and was intended to honor his great-great grandfather. But should I holler "Jacob!" in a crowded theater (during a PG or PG-13 movie), chances are a dozen heads would turn my way. My boy is unique; his name ... not so much. I recently received a newsletter from a publishing house that promoted their new titles. The leading book (the one listed first) was Shelter, a debut novel by Frances Greenslade. Wait a minute! 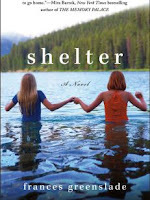 Didn't Sarah Stonich just release a book titled Shelter last year? And Harlan Coben's first venture into YA last September was also titled Shelter. A search on Amazon revealed a few more in various genres. What? How can this happen? Well, it does happen because, in part, titles aren't copyright protected. If you're dying to title YOUR next novel Shelter, have at it. No one will stop you. But do you want your potential audience to scroll down through four or five other titles to find yours? On rare occasions I've seen writers attempt to ride the coattails of popular books by titling their works something very similar to others. The wildly successful Fifty Shades of Grey has spawned copy-cat parodies shamelessly titled: Fifty Shades of Beige, Fifty Shades of Garbage and Fifty Shades of Black and Blue. The best-selling story, Heaven is for Real: A little boy's astounding story of his trip to heaven and back, sparked Heaven is for Real: The Book Isn't--with a scarily similar cover, I might add. I know a couple of us at What Women Write have set Google alerts for our book titles, so when similar titles make the news, we know. Then the decision becomes: Do we keep the title we've grown to love if someone else claims it first? Or rename our story to make it stand alone in the already crowded market? For me, I don't regret naming my boy Jacob. No other name would suit him as well. But a story, a book, a novel is not a child. I'd find a new title. What would you do? I've kept a journal since I was ten years old. My first one was red leather with a weak lock, and was given to me by an aunt while I convalesced from my appendectomy. When it became full, it only made sense to replace it with another volume of empty pages. The early journals are full of embarrassing laments about boys and teachers, comments on weather and exercise, friendships, and planning for my future. As I've grown, of course, so have my journals. What began as immature ramblings and disjointed rumblings became notes about my wedding, lists of plans for our first home, and the precious first words of our children. By reading through them, I can trace the development of my personal theories on life: politics, religion and the nature of God, justice and fairness. I can follow these threads of words to see my desire to leave the workforce and to write full time. I can find the development of storylines and characters and, as I documented the arc of my own life, I also started the manuscript that became my first novel. All in my journals. For me, they are intricately bound to my life. I started thinking about private words after this, about the nature of what goes into a journal--from lists, to theories, to secrets. My journals are private thoughts written for no one's eyes but my own. Blogging has changed that for a lot of writers—many see blogging as an extension of journal writing, and the line between private words and public words blurs. Is anything private anymore? Can't I still keep some things to myself, or to a circle of friends? Or must everything now be public consumption? In thinking about the nature of privacy, and how things have recently changed in the name of social media, I asked my co-bloggers here at What Women Write to weigh in. Here's what they had to say. Elizabeth: I had very unconventional journals—for lack of a better word—all through my childhood and teen-aged years, and then more or less stopped in college. I’ve always been very private about writing; one of the biggest hurdles I’ve jumped since joining this group has been to admit out loud that I am a writer. Which is sometimes hard, years later, when publication still eludes! One thing this blog has taught me (and I’ve learned it elsewhere too) is that the Internet is forever. I’ve been very careful to make sure that whatever I put out there, I am okay with it being out there. Kim: I haven’t kept journals since I was a teenager…On the blog I’ve made no secret of what I’m working on, though I would be more private about any other book. I don’t feel I need to hold back about The Oak Lovers because it is a story that only I can tell. I’m pretty open about my life. I can be pretty reserved in person, but I’m an extrovert in writing and like doing so for a public audience. I am careful, however, not to dig into the issues of religion, politics, or blatant slamming of anyone’s work. Opinions are great to have, but they can come back to bite you if you express them in an abrasive way. Pamela: I kept a diary as a child but have no idea what happened to it. I do have my high school journal (required by my English teacher but done so willingly by me) and had to apologize to my mother years later for being such a toot. She said she didn't remember that side of me. Then I kept a dating journal--rating the dates I went on with a one- to five-star system. It too got tossed. Years later I kept a pregnancy journal of my firstborn. I placed it in his time capsule which he opened at age 18. Now I count one of my most treasured tomes a journal of my life as a young mother; my children love to hear me read from it. Then about five years ago I started a personal blog which became a way for my long-distance family and friends to keep up with the happenings of our family. About a year ago, I found keeping up it, this blog and my writing more than I could handle and let it lay dormant. Susan's dedication is inspiring and I have several blank journals on the shelf behind my desk. It might be time for another one to fill up. But even so, I've never felt free to express myself completely in a journal. My mother told me at a young age that if it's in writing, anyone could read it. It wasn't because she snooped or went through my writings, but she's right. I might write those words for me, but unless they are cremated along with my body, someone else might read them someday. 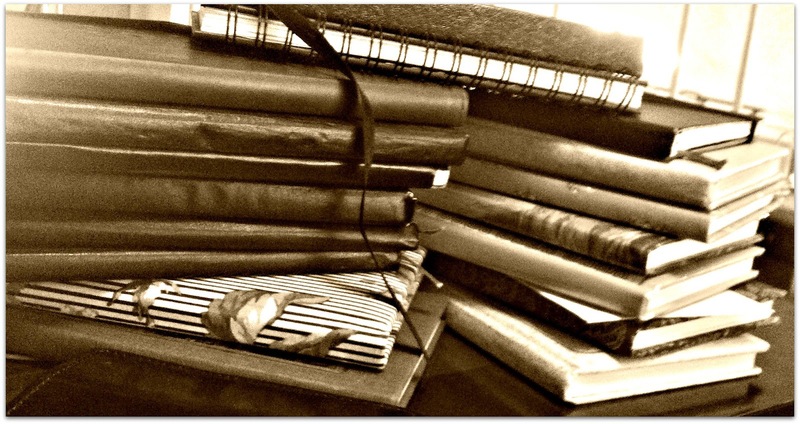 Julie: I kept many journals as a child and teenager and young adult, then stopped when my personal life as an adult became too painful even for my journals. I have tried to journal many times since, but it turns out I'm more of an exhibitionist than I ever dreamed I'd be as a terribly shy child, teen, and young adult! And looking back, most of those journal entries over the years were poems or stories in training. I blogged faithfully for several years before I ever thought about writing full-length fiction, and continued to for another few. I had a tiny audience, but that several times weekly writing exercise answered some need. Now I blog here and on a few other group blogs, and I love the mini-blogging effect of posting Facebook statuses. My journaling these days takes place all in my brain and it's a 24-hour-a-day thing--mental journaling. My mind never really stops processing things, often considering how these whirlwind thoughts would translate into whatever fiction project I'm currently working on. Susan: As for me? I still journal daily, and it's never a chore. It's part of who I am as a writer, and it's part of keeping myself accountable to my plans for my life. I see a blog as a conversation, whereas I see a journal as a type of running dialog with myself. And for me, those words stay private. 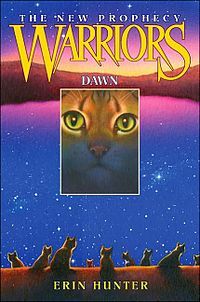 I am currently reading the Warriors series by Erin Hunter. The reason why I was drawn to the series is that I have a deep love for animals, such as my dog, Thor, and my cat, Sassy. In the books, the cats live by codes like human laws. For example, the cats have to hunt for the clan before themselves and humans have to put their children’s needs before their own (or they should). Another thing that I like about the series is the author gives the cats human personalities. When I first met Squirrelflight she really annoyed me because she always has a strong opinion, doesn’t like to be told what to do, wants to tag along with EVERYBODY, and is hyper. I realized that she reminded me of someone I know. My little sister, Ashlyn. Hollyleaf always knows how to resolve conflicts between clan mates and she is observant. She also reminded me of someone. I can’t quite put a finger on who, um...oh yeah ME. I would recommend this series to people who love animals and want to develop a relationship with the characters. Warning: some characters do die so it may not be suitable for young kids. Makes you wonder what your favorite feline is thinking about. I have a confession. 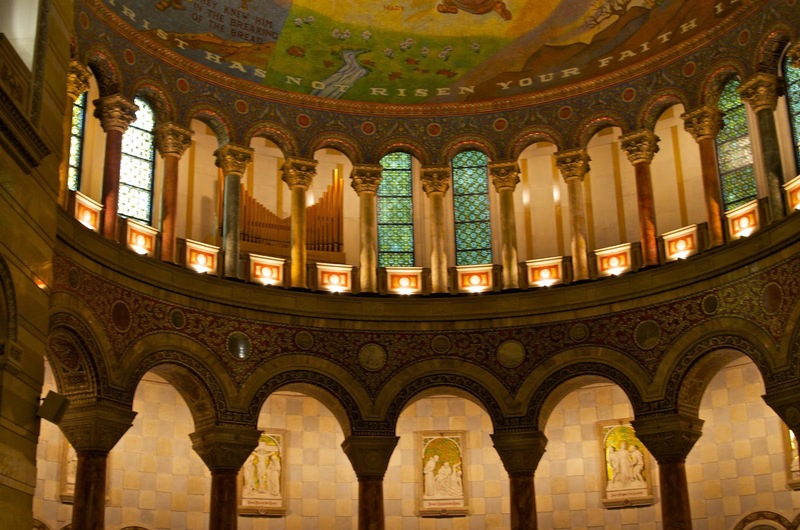 I love churches and cathedrals. 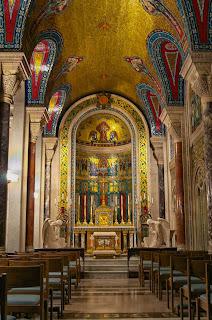 Though it's not religion but the artistic and architectural elements that captivate me. I wrote The Lost Legacy of Gabriel Tucci because I had a vision of a nineteenth-century architect standing on scaffolding, hiding plans behind the stone wall of a church and another vision of a present-day conservator discovering those plans (among other treasures!). 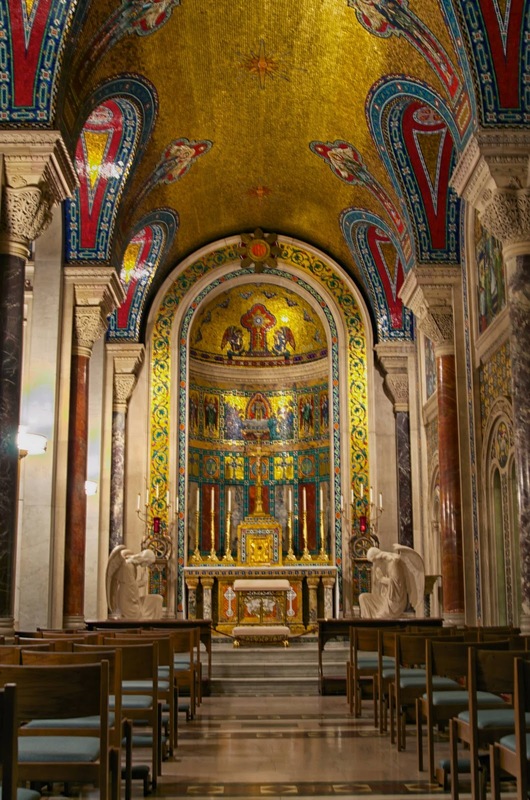 After researching several London churches, I came across St. Peter’s Italian Church in Clerkenwell and soon I knew my architect had immigrated from Trastevere, a suburb of Rome. Recently my family visited St. Louis for a wedding and Pamela mentioned the Cathedral Basilica of Saint Louis as a must-see. 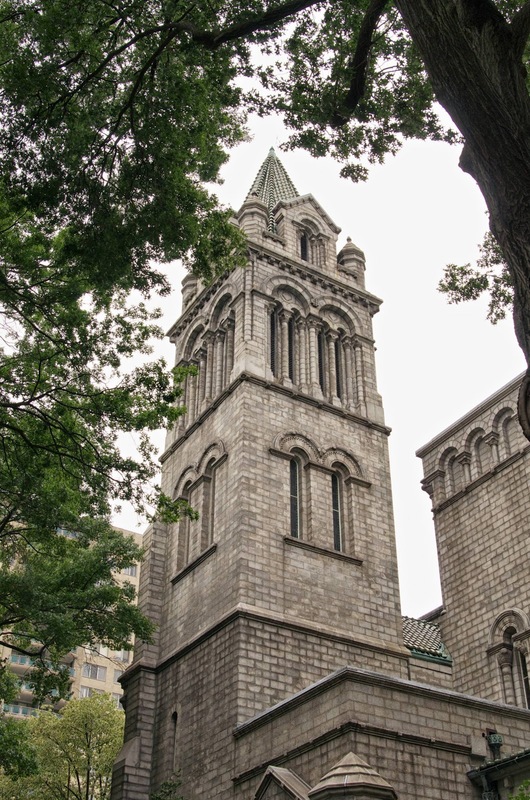 After several years of fundraising and tragedy (a tornado wiped out the Archdiocesan treasury), the church broke ground in 1907, had its first mass in 1916, and was consecrated in 1926, yet it would take a total 80 years to complete it. I'll bet there are a few stories to be garnered from that history. Pamela was right--it was one of the most spectacular cathedrals I've ever seen. So enamored with the side chapels and galleries, we missed the mosaic museum by five minutes, but will catch it on our next visit. 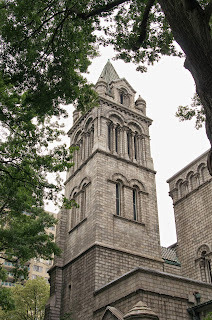 The Byzantine and Romanesque architecture is a marvel and the docent who shared the church's history was a gem (despite his refusal to let me upstairs to the watching gallery!). Even though TLLOGT is complete, I managed to sneak in Gabriel Tucci's twist on the legend of the red mosaic tiles. My mind is dancing around ideas for my next story. So far my settings have taken me from a fictional cemetery in Maryland, to the Bodleian Library in Oxford, to Highgate Cemetery and an Italian Church in Victorian London. My next story might be a wartime foray into my father’s letters from Burma or it might follow a train conductor in Italy. But wherever (and whenever) I place it, you can bet there will be majestic churches, generations of secrets and a headstone or two. I don't think I've ever written here about my brush with writing royalty. I was fifteen years old, and a new bookstore was opening at my favorite mall. This was the day of B. Dalton, a place I would crouch behind a shelf and hide from the clerks as I read whole chapters or more of Sweet Valley High. You just didn't do that. Bookstores were places for buying books, certainly not for reading them. We won't even talk about coffee. But this place was new, and so different. Not only did they encourage you to read the tomes they shelved, they offered chairs in which to do so! And no, it wasn't Barnes and Noble or Border's (see? the world keeps changing still), it was called Rizzoli Books, and it was to change how I thought about bookstores forever. Not to mention, make the habit of seek and hide and read a thing of the past. A quick google search tells me Rizzoli has actually been around for some 40 years, but in the early 80's, it was big news arriving at South Coast Plaza in Southern California. Big enough that a number of famous authors were scheduled to attend the grand opening. I'm sure a list went out on the advertisements, but I can't recall who was present. Other than one author, that is, one who took the time--and plenty of it--to advise and listen to a high school sophomore as she asked for advice on a writing career. He spent a good fifteen minutes with me, as others crowded around in a circle, listening, no doubt some harrumphing at the audacity of this brazen girl in Dolfin shorts who dared take up so much of the master's time. No one said anything though; how could they? I asked what I should do if I wanted to be a writer, and this week's tributes prove that the man spoke to me as he counseled others: don't bother with college, he said. Write every day, starting now, he said. Dream big, and don't let anyone stop you, he said. It was good advice, probably, and I've seen it printed in the local paper and all over the internet all week. I've shared the story with people over the years, and now I know that what he told me, he meant. He spoke from his gut, from his heart, and with the best wishes for the little girl before him who hadn't yet read a word he wrote but had the confidence to blather tales of the stories she'd jotted down herself. And he took her seriously. I didn't really take his advice. I did go to college, I still don't write every day (though I wish I did! 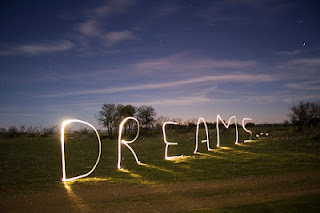 ), and those dreams? Well, it took me another 25 years and more to pull them from sleep to waking and I'm still working on it, but they are in the present rather than in the maybesphere. I did use one of his stories in a college prose interpretation, and to this day consider it as one of the best of my forensics efforts, even if I went overtime (dang his good writing! It needed that long pause! ), keeping me from qualifying with it for Nationals. Ray Bradbury died on June 5 at age 91. Thirty years ago I owned his attention for a quarter of an hour. I never forgot it. And I never will. I’m finishing up my last load of laundry. My laundry. In my busy household, I always seem to be the last one to sneak a load into the washer. I work from home. Yoga pants or shorts and a comfy t-shirt are as fancy as I dress most days, so I rarely need first dibs on the washer and dryer. My teenage girls can’t tell the difference between the clean and dirty clothes on their floors, so they just throw it ALL in, rushing to launder what they need for school or more exciting vacations than I’m taking. My husband, a typical engineer, does his own laundry methodically each and every Sunday, and I don’t want to mess with a good thing. My mother has a small wardrobe and needs her laundry done more regularly than I do. When I finally get a chance to wash my own clothes, I hang my shirts to dry. It means one less step in the process—not to mention they last longer when they’re not tossed around in a hot dryer. And though I only manage a few loads in the space of a month, I still gaze with dismay—and even a little bit of awe—at the number of well-worn t-shirts hanging in the doorways of my laundry room, bedroom, and bathroom. This is a LOT of shirts. I’m venturing a guess they number between thirty and forty. Wow. Thirty to forty shirts? And I wouldn’t wear most of them in public beyond a fast chauffeur run or to walk the dogs in the dark. Yet, as I contemplate pruning a few for the giveaway pile, I find myself unable to do it. First, these shirts are worn just right. Second, though everyone else’s laundry trumps mine, I’ll never have to resort to scratching splattered spaghetti sauce from the front of a shirt and wearing it one more time. But there is nothing special about any one of them. I admit it. I am that girl. I am the one who struggles to throw anything away—even worn-out clothing with no sentimental value. I’m not sure why. Perhaps it’s the result of growing up in a household that struggled financially. I was buying my own clothing by the time I was 11 or 12 with money I earned babysitting. It was how I avoided decade-old hand-me-downs from distant cousins or fashion disasters from the discount racks at Woolworth’s or K-Mart. Still, I still don’t quite comprehend this often-unreasonable need to hold onto things. I pause to catch my breath after shifting so many fresh-smelling shirts from the doorways to my closet, and then my gaze drops to what lurks in the corner of the laundry room—the miscellaneous items that don’t quite fit with the regular loads but never seem to get washed on their own. They simply wait there for someone to take notice, gathering dust until the pile threatens to topple over. The top item in the heap is a small, old-fashioned, pink and blue baby quilt. At first, I’m horrified to see it there. After being buried in the pile for who knows how many months, apparently, it has finally risen to the top. It’s ragged and speckled with stains of unknown origin—not to mention dappled with dryer lint. Why is it here? Who placed it in the pile? Me? One of my teenagers? Perhaps my husband moved it here from another pile, not knowing exactly what to do with it. I carry it to my bedroom where I lift it up and hold it out for a gander. Then I look closer. This detail, I knew before, but today, it takes on new significance. This baby quilt isn’t just any quilt. It’s old. It’s ripped. It’s stained. And inside it is another baby quilt. Apparently, my grandmother made the original one for my mother when she was a baby. When it began to wear, Grandma pieced and sewed another. However, instead of quilting fresh batting into the new cover, she simply dropped the old quilt down inside, sewed it closed, and tacked it together with bits of yarn at the corners of the individual pieces. Maybe, like me, and like so many in my family, my grandmother was a keeper of things. Maybe she couldn’t bear to part with the old quilt, made by hand for her baby girl, but couldn’t think of any other purpose for it, so she hid it inside something new. I spread the quilt across my bed. I smooth its worn surface and then reach down inside to run my fingers over the older stitching there. I think about my family and the way we keep things, and the way we keep passing them down, even if they are ragged and dusty and don’t seem to serve any purpose beyond reminding us of earlier days. And then I think about how we do the same thing with our stories. Some folks I know don’t seem to have the same repertoire of family lore my family has. They also have neater and cleaner houses and a lot less junk. When I mention writing Calling Me Home based on a bit of family lore, some folks look fascinated, but not particularly inspired. And when I mention thinking through the new story, they probably wonder why I don’t leave the many bits of family history that might make their way into my manuscript safely in the past. Though I really must sort through my shirts soon and discard what I don’t need, I suspect my struggle to let go may be innate. Maybe it has something to do with my DNA, with my family’s compulsion to keep things—not least of all, the stories, to pass them, along with a ragged, double-quilted baby blanket, from generation to generation. Perhaps some of us were born to be the keepers of things and the keepers of the stories. I've written a lot on this blog about The Angels' Share, the manuscript that began as a seed in my brain back in 2006, and I don't hesitate to make fun of my own rookie mistakes and amateur status as a writer. Frankly, just to call myself a writer without feeling like a fraud is the greatest gift I've ever given to myself. This morning, at 2:45 am, I wrapped up the (hopefully) last round of edits for Brilliant Agent and collapsed into my bed, full of gratitude. With that said, now I'm going to get a little personal, and tell you about my Big Dream. Back in 2008 when my baby girls were nine and six years old, I was flying back and forth across the country pitching online marketing and custom website design to trial attorneys while my husband also worked full-time and served—along with Miss Kathie, our full-time child-care provider—as the primary parent. I was making money—I had a sweet title, a high salary, and ridiculously generous bonuses. I had achieved success, by American standards. And I was absolutely miserable. Without wasting your time, I'll say this: I hated everything about my then-fourteen-year career in sales. Whereas I used to thrive on being in charge, on making money, and on winning the big client, by 2008 I was simply burnt out. Time, I realized, had been the trade off for my success. I wanted to be with my children before they grew up. I wanted to reconnect with my husband before—I feared—I would lose him. I wanted my life back. 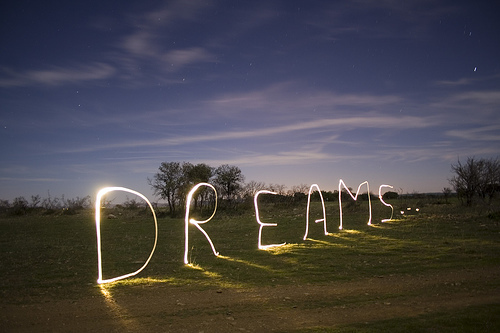 And I wanted to follow my Big Dream—just to see what might happen. And so, after terminating forty-three employees in two waves of autumn layoffs, I, too, left the corporate world in December of 2008. Since that time? I wrote my novel. I co-founded this blog with my wonderful and talented writing group, and these girls you see on this page have become some of my closest friends. I attended conferences, and created my own writing retreats. I worked another sales job, briefly, before spending two years in non-profit work with trafficked children in Ghana. Detours, perhaps—on the road to following my Big Dream. Life-changing and enriching detours that have shaped who I am and what I will do next. That's how I got here—to this place of gratitude. On December 19, 2011—almost three years to the day of leaving my sales career, I got The Call. I'd only sent out ten query letters. I had three full manuscripts floating out there, in the hands of three big-time agents who were way out of my league, and it was the week before Christmas. The timing wasn't right for sending query letters, I'd been told (another one of my rookie mistakes.) By Christmas Eve, a second agent, one whom I also admired and respected—offered representation. By December 28, the third agent who had my full manuscript emailed as well to ask if we could talk, unless it was too late and I'd signed with someone else. My Big Dream was happening, and my head was spinning. And so on January 10, 2012, I signed a contract with Leigh Feldman of Writer's House, the agent who called me first. A Real New York Agent, as my father tells his fishing buddies in Lake Weiss, Alabama. The one who sold Memoirs of a Geisha, and Cold Mountain, and Bloodroot, as my mother will tell anyone who asks. Over the past six months, Leigh has become my counselor, my professor, and my friend. She's pushed me further than I thought I could go. Under the careful prodding and smart questions from both Leigh and her fabulous assistant, Jean Garnett, I've turned my rookie manuscript into—hopefully—a finely-crafted debut. This summer, I get to hang out with my daughters and sneak away for weekend getaways with my sweet and patient husband—the one who didn't leave me after all. Leigh is now charged with selling The Angels' Share to an editor who I pray falls in love with my story, just like Leigh did herself, five days before Christmas. I'm full of gratitude for the past four years of my life. I'm thankful for my choices, and my family, and my friends who helped me get here—those who believed in my writing even when I didn't. It's not been easy. In fact, it's been the hardest and scariest thing I've ever done. I'm about to hit "send" and fling my novel through cyberspace and back to Leigh, where she and Jean will twist and wring and squeeze it over the next forty-eight hours. Then she'll fling it back to me for a fast and final polish. After that? In her very capable hands my little story will be introduced to Big-Time Editors at Big Scary Publishing Houses. And guess what? I don't know what will happen next. I fear rejection and failure. I fear acceptance and success. And I fear the Big-Time Editors. Just like I feared leaving sales. Just like I feared getting on a plane to Ghana. Just like I feared writing full-time and still being able to pay the bills. Living my Big Dream, I've realized, isn't easy or pain-free. My life still isn't perfect, and it won't ever be. But I'm content. I'm living true to who I wanted to be—A Mom. A Wife. And now that I'm here, I won't ever go back. I'm a Writer. And I'm living my Big Dream.